Breaking reports from Kentucky-based news outlets have revealed that a county-level circuit judge issued a massive $290 million judgment last month against PokerStars and its current parent, Canada-based Amaya Gaming, as part of an ongoing case brought by a private firm representing the state’s interests against PokerStars and other offshore sites who once serviced Kentucky players. Local news reports confirm that Franklin Circuit Court Judge Thomas Wingate awarded the $290 million judgment against several defendants, including Amaya Group Holdings and a subsidiary connected to Stars or Full Tilt operations on Nov. 20. The state brought its action against the original Full Tilt, PokerStars, and numerous other then-current and former US-facing sites in 2010. The suit itself was a corollary to a separate action filed by Kentucky officials in 2008, that famously attempted but failed to seize 141 online domains associated in varying degrees to online gambling. Judge Wingate has yet to assess Amaya’s share of the $290 million total judgment, but Kentucky’s legal representatives believe the company should be responsible for at least $250 million of that amount. The November 20th judgment issued by Wingate comes in the same case that saw a motion to join filed by a third party, the Poker Players Alliance, less than two weeks ago. The PPA’s motion to join has not been definitively acted upon, although a “motion hearing” regarding the PPA’s efforts to join the case was held this afternoon in Lexington. Wingate is the same county-level judge who ruled in favor of Kentucky’s 2008 attempt to seize the 141 domains, in blatant violation of federal law and international trade agreements. Wingate’s attempted rulings in that case were later reversed. 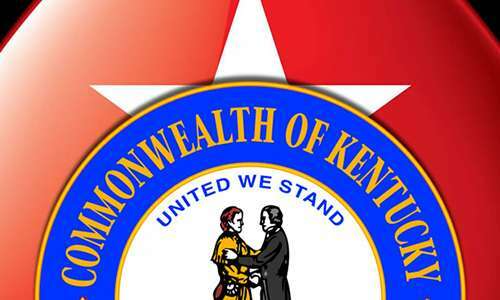 As the local reports now note, the PPA’s motion to join comes on behalf of the 14,000 Kentucky-based poker players who are listed as PPA members, alleging that the state is attempting to line its own pockets at the expense of poker players who might actually have losses to claim under the commonwealth’s antiquated gambling laws — if indeed such losses occurred. However, whether the Commonwealth of Kentucky itself qualifies as “any other person” is itself a legal debate of great importance, and we’ll return to this in a bit. The PPA’s motion, now, is known to be a post-judgment motion, filed and justified by the PPA under the grounds that the state’s lawsuit explicit ignores the actual players’ interests. The PPA claimed to have learned of the judgment only ten days ago, likely from PokerStars, upon which time the PPA immediately filed its motion to join. “No one in this case is representing the interest of poker players,” said Don Cox, a lawyer retained by the PPA for the case, to the Lexington Herald-Leader earlier today. William Hurt, an attorney from the Kentucky firm of Hurt, Crosbie & May, claimed otherwise. Hurt noted that not a single player from Kentucky came forward to join the state’s side of the case regarding losses incurred during the timeframe covered in the lawsuit — Oct. 12, 2006 to April 15, 2011. That latter date is US-based online poker’s “Black Friday,” when the four largest US-facing sites were forced to cease US-facing operations following federal-level indictments. Hurt’s firm is believed to be working on an ad hoc basis in exchange for a sizable percentage of any judgment Kentucky might receive. The stakes are even larger than the outsized $290 million judgment indicates. The antiquated statute calls for trebled damages to be awarded by a third party (Kentucky) who is claiming to be working on players’ behalf. However, the players themselves would not be allowed to seek trebled damages under Kentucky law. Thus, if the PPA was granted the right to represent the players, and thus returned money to those players after a judgment, the maximum total would be the $290 million of the November 20th settlement, not the potential $870 million such a tripling would entail. PokerStars’ and Amaya’s share of that judgment responsibility, should Kentucky officials get their way, would then be $750 million. Naturally, Kentucky and the law firm that filed the action do not plan to pay any portion of a settlement to Kentucky’s players. 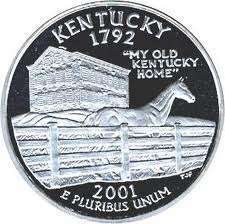 Any judgment received will be split between the Commonwealth of Kentucky’s Treasury and Hurt’s law firm. Both Hurt, representing Kentucky, and Amaya have also filed motions asking for a clearer explanation of exactly how Judge Wingate calculated the supposed damages, since the $250 million itself is likely at least a magnitude larger than the total of deposits ever made on PokerStars or Full Tilt by participating players. In addition, the matter of whether Kentucky actually has standing to file suit in the matter it claims, purportedly representing its citizens, is itself uncertain. The case was already removed once, last year, to federal court on an Amaya-brought motion, but it was remanded back to Wingate’s court after a reading by a federal judge that for the purposes of the lawsuit, Kentucky is indeed a person. In originally issuing his decision, Judge Wingate noted that “person” was ill-defined, and chose the interpretation most favorable to Kentucky’s claimed interests. US District Judge Gregory F. Van Tatenhove, in returning the matter to Wingate’s court, ruled that the federal court system lacked jurisdiction in such a gambling-related matter. Van Tatenhove had noted earlier that another case precedent available to Wingate would have provided ammunition for Amaya’s claim that Kentucky has no right to act as a “person” according to the statute. Van Tatenhove also quote a portion of Wingate’s strained home-field justification in issuing his own remand. Such a pro-Kentucky reading of the law flies in the general face of centuries of American legal history, under which actions are legal unless specifically defined as illegal or civilly actionable. In any event, as the Kentucky-based news reports duly note, extensive appeals are expected in the case, meaning that it could be years before a final judgment is reached. The case’s ongoing existence, however, will do little to enhance Amaya’s and PokerStars’ prospects of winning regulatory approval in any US states which might choose to legalize and regulate online gambling in the near future. Amaya and PokerStars have been approved for New Jersey operations, but only after all corporate vestiges of the pre-Black Friday ownership of PokerStars were eradicated from the company. Franklin County, Kentucky court records show the case title to be Commonwealth of Kentucky, ex rel. J. Michael Brown, Secretary, Justice and Public Safety Cabinet v. Pocket Kings Ltd., et al. Amaya Group Holdings is the formal name of the PokerStars defendant entity in the case. FlushDraw continues its efforts to obtain a copy of the November 20th ruling from Wingate’s court, along with other relevant court documents. We will update the story as developments occur.